The natural Park Gola della Rossa and Frasassi : an environment patrimony. 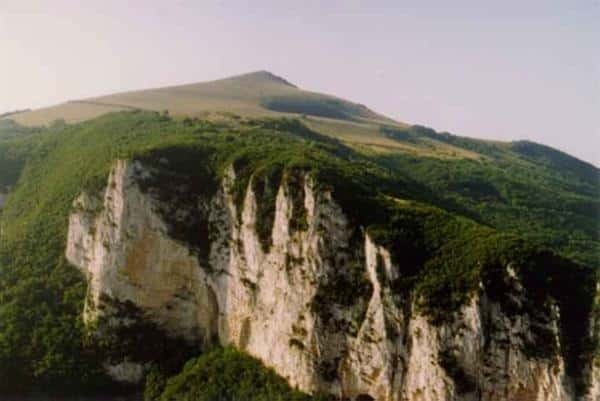 The Gola della Rossa and Frasassi Natural Park is the largest protected natural area of the Marche region, environmentally rich in geological, botanic and fauna attractions, together with numerous archaeological, artistic and architectural treasures. The wild landscape and abrupt rock walls crate the perfect habitat for birds of prey such as golden eagles and kestrels. Beech woods and dense underwood are inhabited by foxes, boars, badgers, squirrels, porcupines and wolves. The clear Sentino waters house trouts, barbells, eels, chubs and rare river shrimps. 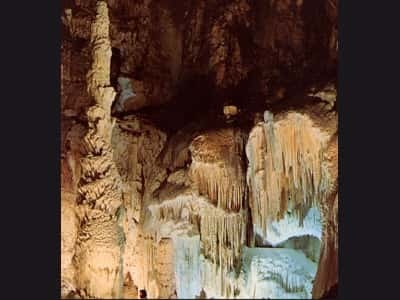 The Frasassi Caves: A marvelous fable written by water. 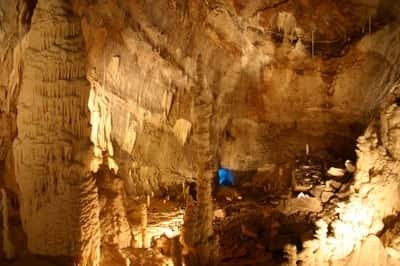 The subterranean complex of the Frasassi Caves extends for 30 km on 8 geological levels, being one of the largest and most fascinating subterranean routes in the world. The caves are situated in Genga (AN) in the heart of the Natural Park of Gola della Rossa and Frasassi. 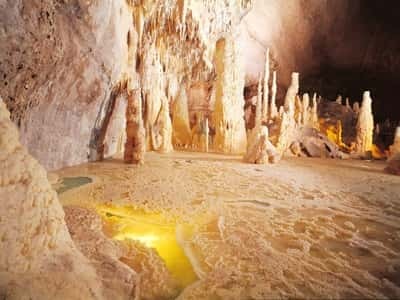 In a scenery rich in carved stalactites and stalagmites, small lakes of crystal-clear water, and suggestive alabaster spears, visitors can choose between a 1-hour easy visit or enjoy the emotion of the speleological visit (reservations needed). Under the supervision of the Frasassi Consortium the caves are constantly monitored to guarantee the correct conservation of the subterranean environment and of the rare fauna specimens that have found their ideal living setting in the caves. Temperature inside the caves is constant at 14°C. The tourist 1.5-km visit takes about 1 hour. The caves are open all year round, except for January 1, December 4 and 25, January 10 to 30. Guided visits in English, german and French are available from May to September. When the stone first fell into the total darkness, the speleologist's held their breath. 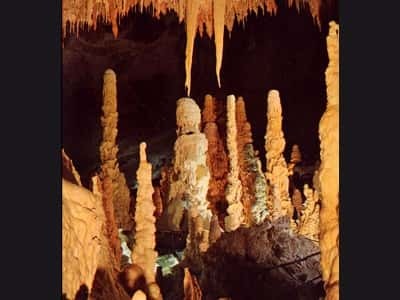 The echo arrived after a period of time which may seem very long: it was the 27th of September 1971 and the Frasassi Caves, one of the most spectacular cave complex's in the world, had been discovered. Today the caves are open to the public to visit for the entire year, accompanied by professional guides through an easily accessible itinerary which lasts roughly 75 minutes. Visitors will feel the sensation of a world turned upside down, beautiful and hidden, filled with suggestive spaces and rich, extraordinary organic structures, where the silence is broken only by the occasional drip of water which propels the eternal living evolution of the cave complex. Upon reservation, to satisfy the demand of speleological fans and at the same time offer a different experience to all curious visitors, the Frasassi Consortium organizes two speleological tours with different difficulty level: the easy tour ("blue tour", 2.5 hours, min. 12-years old visitors) and the speleo tour ("red tour", about 4 hours). Both explorations are led by specialized guides. Necessary equipment supplied locally. One of the most beautiful and important abbeys in the Marche region, it is a pure example of romanic style with a greek cross plan. It is situated in the small village of San Vittore. The museum is situated nearby the San Vittore abbey and houses voluable findings from the Bronze age that were found in the surrounding area. Visitors can admire a huge ichthyosaur fossil completely preserved. Opposite the San Vittore Church, the ancient bridge is protected with a truncated Gothic tower erected in the XIV century with local stone. 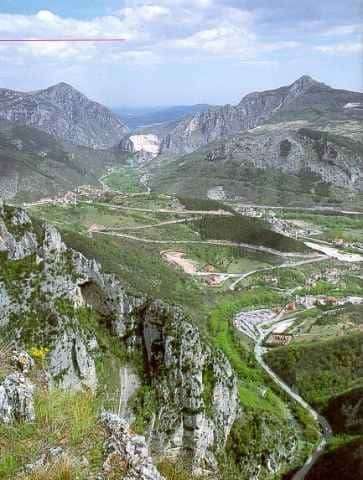 The two sanctuaries are situated one next to the other at the entrance of a cave splendidly located overlooking the valley. The elegant neoclassic temple with an octagonal plan was commissioned in 1828 to the architect Giuseppe Valadier by Pope Leon XII, native of Genga. The simple, yet suggestive hermitage emerges from sharp rocks and is cited in documents from the XI Century. Medieval village on top of a hill, housing the interesting "San Clemente" Museum of Sacred Art with a beautiful marble nativity attributed to the Canova school.